June is just around the corner, and we have plenty of games to play and things to do! 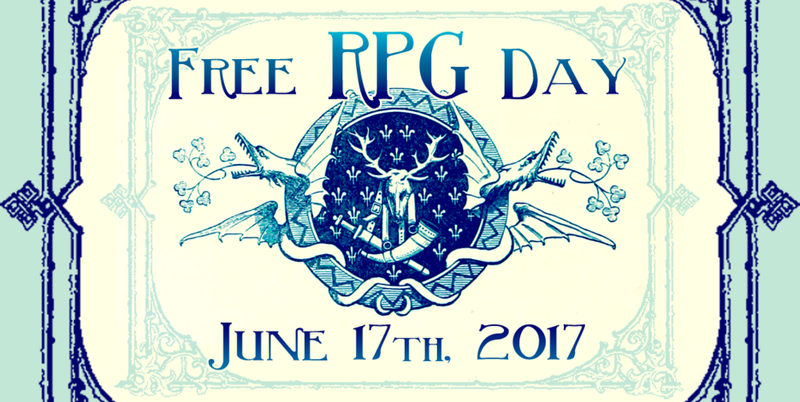 Free RPG Day for 2017 is here! Check out all the stuff we'll have on offer at their website here! This year we're running a multi-system mega-dungeon! Players will work together using different RPG systems to accomplish a common goal. We'll have players using Dungeons and Dragons, Call of Cthulhu, Dungeon Crawl Classics, RuneQuest, and Savage Worlds to defeat a multi-dimensional evil too great for any one group to handle! Not interested in the main affair? We'll have quick-starts for all the systems on offer for Free RPG Day running throughout the day. If you would like to DM for it, feel free to send us a message and get your hands on some of the most exclusive FRPGD swag! Join us for Top Tier Board Games' Summer League Cup on Saturday, June 24th 2017! This tournament will be standard format, with a Champion playmat per age division and promos to 1st - 4th place. Warhammer 40k's 7th Edition is on its way out, but we intend to see it go out with a bang! We're holding one last 7th edition tournament at 1850 points with ITC rules to wish a fond farewell to the ruleset that's served us so well. That's not all for Magic this month. Join us for our monthly Playtest Challenge for Legacy! Bring a deck with any number of playtest cards and duke it out Legacy style! We'll be handing out store credit to Top Finishers, and offering a bump up for buying cards to remove playtest cards from your deck. Welcome to Terrinoth! With fresh new expansions for RuneWars, we're starting an escalation league to get you up to speed! Players sign up in pairs and play through three scenarios, increasing the size of their army each time. Join us as we battle it out for the next chapter pack in the Game of Thrones Living Card Game, The Fall of Astapor! $5 to enter, and first place walks away with the newest chapter pack for free, with store credit going out to top players based on attendance! Star Wars: X-Wing Miniatures Game! If that's not enough Star Wars in your life, we've got more for you! Put the members of Rogue One and The Force Awakens to the test with our Wave Ten Tournament for Star Wars X-Wing Minis!